Here are the supplements that we use on a regular basis. They are research backed, excellent quality and will support your training performance. Excellent pre workout with zero carbohydrates. - Energy support from a blend of vitamins. Use 20 minutes pre workout. Superb pre workout for CrossFit. Provides some easy to digest carbs from vitargo as well as nutrients to help mental focus, BCAA's and caffeine to fuel you through the whole session. Cyclic Dextrin is produced using a unique enzyme, which forms a cluster structure unit degraded from starch. In essence, this process ensures that Cyclic Dextrin is superior to other carbohydrates based on its better solubility, faster gastric emptying time and ability to provide a sustained energy source without increasing blood sugar. An excellent blend of aminos and other nutrients to help mental performance and recovery. Sip throughout session / after warm up. We only really use these for early morning training and for those performing double day training. Not essential if you train once per day. One of our most used products for post workout. Added creatine, HMB, glutamine to supercharge recovery. A number of post workout shakes are just loaded with sugars that can cause gastric distress if taken regularly. Again using vitargo can ease this but still take advantage of fast digesting carbs to replenish your energy stores post workout. The best vegan protein from a nutritional and taste point of view. Excellent product to be used after your session but to add to foods, smoothies and snacks! Straight up great tasting protein. An excellent protein to used in your nutrition plan. These are just our recommendations of products we use regularly. It is not to say you need them or everyone should be taking them. Consider doing some testing to identify your current levels and requirements. Always focus on quality. Most supplements are created using poorly absorbed forms of the nutrients. Head over to the basics section for the best protein products. Here we have given some alternatives that we use with clients. Vitargo is a fast digesting carb to help replenish your energy stores post workout. 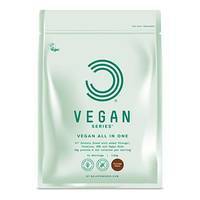 An excellent option for an all in one vegan protein. This product contains plant-based protein blend, Vitargo, Vegan BCAA, Glutamine, Creatine Monohydrate, HMB and Digestive Enzymes. Zinc is a key element in zinc­copper SOD, which is a necessary internally antioxidant powerhouse like glutathione. In simple terms, it helps decrease the inflammatory response of intense training for faster removal of waste products. Magnesium is an essential nutrient that can be depleted during intense training. It is involved in energy production, metabolism, digestion and muscle recovery. It is also a calming nutrient that can help with sleep quality. Cherry extract has been proven to help reduce the severity and length of delayed onset muscle soreness. High in antioxiidants it can help you avoid that "can't walk down the stairs" feeling after a training session. You want to take this away from training - for example in the evening if you trained in the morning or for breakfast the following day if you train in the evening. High dose antioxidants can actually prevent the adaptation from training if taken in high doses around the training window. High quality fish oil has been proven to help reduce muscle soreness and reduce inflammation. Amongst a host of other benefits this will really help recovery. After heavy lifting or heavy workouts we advise taking with your post workout main meal. These 3 ingredients are potent anti inflammatories. We create inflammation in the body by training hard and getting more natural substances such as these can help us to recovery quicker and train harder. Glutamine is an amino acid that is used in the biosynthesis of proteins. It also affects the body’s ability to replenish muscle glycogen. If you consisently have muscle soreness try taking 10g twice per day to help the body regenerate. Excellent hydration tablets to pop in your water bottle or shaker. 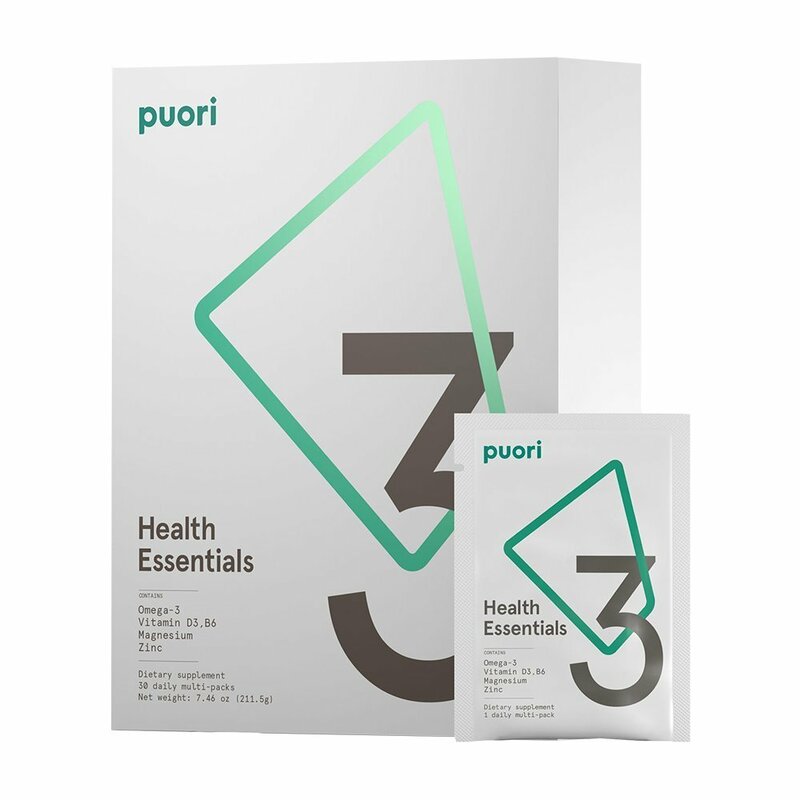 For ease of use remember the monthly pack contains a number of the nutrients detailed above. Training regularly requires you to support your body to maximise health and performance. Certain nutrients are commonly depleted during intense training. Remembering to take them is also a challenge! 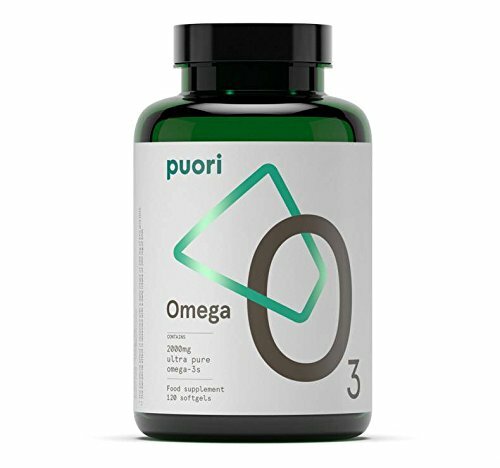 The puori essentials provides you with five powerhouse nutrients: omega-3 fatty acids, vitamin D3, magnesium, zinc and vitamin B6 in one convenient pack. The quality is unrivalled and we have had awesome results with clients using these. Can't recommend highly enough. Specific supplementation for performance enhancement. CrossFit is a constantly varied sport, meaning that we have to support all energy systems. Here are some of the most researched backed supplements and the ones that we have seen have the biggest effect on performance with our athletes and clients. Beetroot juice has been proven to help you exercise for longer by reducing time to fatigue and enhancing aerobic capacity. Typical ways to use this product is to take 2-3 weeks leading into a competition or throughout a hard training block. Perfect for the weeks leading up to and during the open. We have done hundreds of blood tests on athletes and the general population and b vitamins almost always show up in some form of deficiency. They are involved in so many metabolic processes and are co factors in energy production pathways. For optimal energy production a good quality b vitamin (one with the active forms of the nutrients) is essential. These products below should be taken alongside the basics such as fish oil, zinc and magnesium. These two nutrients help increase protein synthesis and reduce muscle breakdown. Creating an anabolic environment primed for growth. Remember the aftermath product has both of these but this is bar far the leading product for stand alone creatine and HMB. Take during a strength or power training phase. Colostrum stacked with creatine and HMB is one stack we use with clients. We often use this leading into and post competition or during a increased period of intense training. Alongside creatine , beta alanine is one of the best performance enhancement nutrients. It works by increasing levels of carnosine in the muscle which can reduce the build up of hydrogen ions and lactic acid. Coq10 can boost aerobic capacity, anaerobic threshold and help with muscle recovery. Has a synergistic effect with creatine. Seems the optimal dose is 200mg - 300mg. 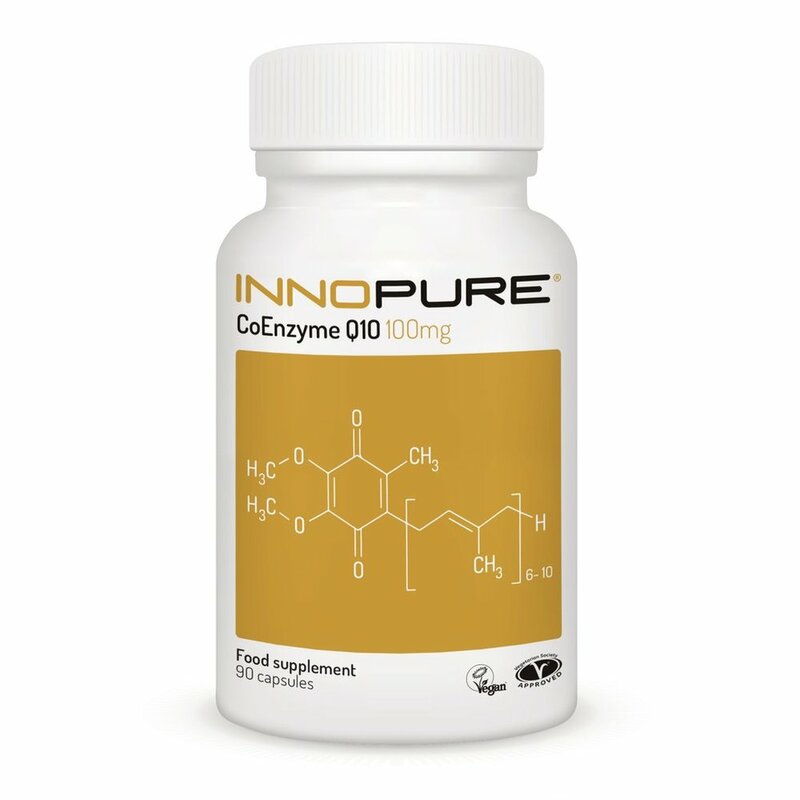 It is suspected that CoQ10 is able to reduce damage to the membrane of skeletal muscle cells by preventing increases in serum creatine kinase (biomarker of muscle damage). Another possible explanation is the increase in fat oxidation seen during submaximal exercise with CoQ10 supplementation in otherwise healthy subjects secondary to autonomic nervous system activation. CoQ10 can help reduce symptoms of muscle soreness and fatigue by reducing CK levels - a marker of muscle cell breakdown. Periodising your nutrition / supplementation is advised to correlate with your training. Monitor how you feel during each phase of taking each supplement - there is very rarely an acute effect. Be consistent when taking supplements. You may not notice a difference until you remove it and notice that you are more sore / more fatigued etc. Below are 3 key areas of nutrition - sleep, gut health and immune function. Optimal functioning of the digestive system is critical to good health. The gut is linked to every factor of health with the majority of the immune system, neurotransmitter production and detoxification. We are seeing more and more clients complain about bloating, distended stomach, undigested food and disruption to bowel movements. Here are some of our recommendations. Glutamine is on the most abundant amino acids in the body. It is also a crucial building block to the inner lining of the gut. Probiotics are an excellent addition to your supplement regime, not only do they increase the abundance and diversity of the good bacteria they are a potent immune booster. When we exercise at high intensity regularly we place stress on the gut and having a good quality broad spectrum probiotic may help. Here is a 2 month supply. Take daily and monitor change in any gut symptoms. If you feel discomfort after eating or struggle to digest certain food groups then trialling a digestive enzyme may help. No need to take long term as it can down regulate your own production of stomach acid and enzymes but used at certain times they can be of huge help. We often use when we put clients on a higher calorie load to provide digestive support. Each acute bout of heavy exertion leads to physiological stress and changes in immunity. Research has suggested that immunity follows a ‘J’ curve in relation to exercise, with moderate and regular exercise improving the ability to resist infections and heavy or chronic exercise decreasing it. Many nutrients are involved in energy metabolism and protein synthesis, the balance between pro and anti-inflammatory cytokines is crucial in maintaining proper immune function. The simplest way to ensure you are supporting your immune system is through quality nutrition. Here are our supplement additions that can added to a good diet. 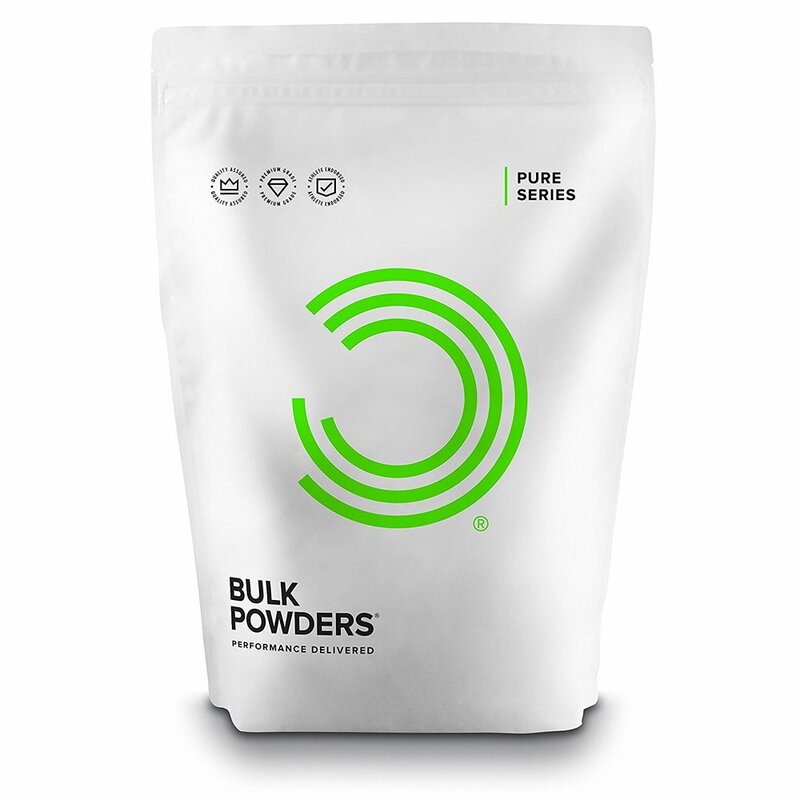 A good greens powder provides a tonne of micronutrients to help boost your immune system. One of the most crucial vitamins for optimal health and performance. It is one of the most common deficiencies we see when doing testing with clients. Its so cheap (both to test and to supplement) and will have huge benefits for performance, recovery, muscle function, energy levels as well as immune health. Alongside getting vitamin C in your diet, taking a zinc lozenge during the onset of a cold / flu symptoms is advised. Results from various studies show that 70% of the people taking zinc lozenges recovered from their colds after five days, compared to just 27% of people who took the placebo. After adjusting for several factors, the authors concluded that zinc provided a 3.1-fold increase in improvement. However the dose is higher than normally recommended. 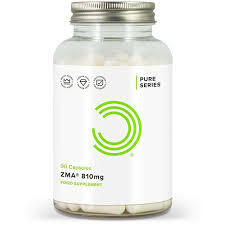 Take 50-70mg of zinc during the onset of a cold. Cherry extract can help to boost the calming neurotransmitter serotonin which can help increase melatonin - leading to better sleep. Zinc is a key element in zinc­copper SOD, which is a necessary internally antioxidant powerhouse, similar to glutathione. In simple terms, it helps decrease the inflammatory response of intense training for faster removal of waste products. Perfect for us CrossFitters!